Brighten your Event with Creativity! Every Tuesday, EtsyNJ Team sponsors a Blog Hop to showcase our wonderful team members; this week, I chose Happy Hound Creative. Spring is here, flowers are blooming, and spring cleaning is completed (yeah!) ~ it's a perfect time to show off those blooms and your newly cleaned house. Why not invite a group of your friends for a small Tea Party? So you get out your address book or start to text your invite ~ but wait, didn't you just read a blog post about this fabulous company on Etsy who creates personalized invites? Start the party off right from the invitation! 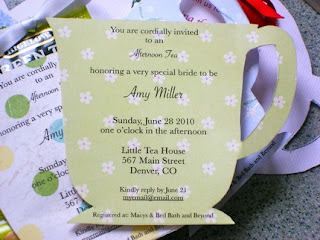 How much fun would it be receiving such a sweet invitation ~ Tea Cup Shaped Party Invitation - with Pocket for tea. 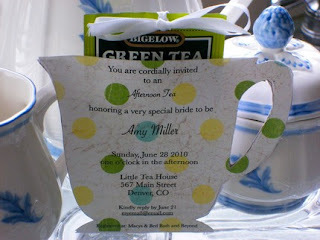 Tea cup shaped invitation with a pocket to include a nice packet of tea for your guests. Tea packet is included and you can choose from a variety of flavors! Happy Hound Creative also offers various choices of colors and patterns for your invitations ~ just let her know! The Baby Onesy is a FAVORITE design of mine and I just adore what Happy Hound Creative did with this classic! 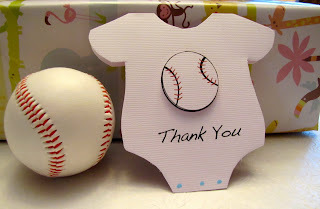 The image above is a Onesie Thank You Cards - Baseball; however, if you are looking for invitations, our creative shoppe owner will create whatever your heart desires! Let's never forget our Littlest Princess either! 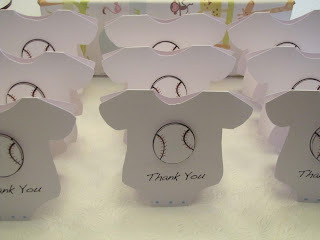 Here's a great SET of matching Baby Shower invitations and Thank You Cards - 25 in set. 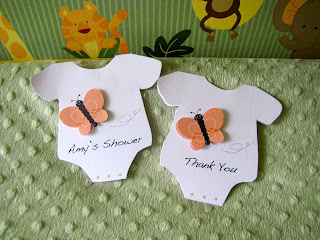 Onesie shaped Baby Shower invitations with Cute Peach Butterfly and matching Thank You Cards! The butterfly on the front pops off the paper. 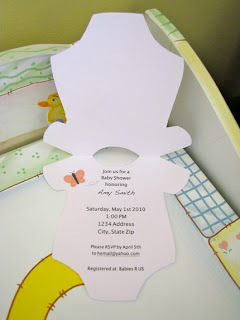 These invites are so cute! What a great way to make a party more memorable! How cute! She is so creative, I love that tea pot invite! Ohhhh, these are so cute! Love them all, my favorite is the shower invitation with the teapot!